Have you ever given some thought to the process your toilet goes through when you flush the toilet? You probably never thought about it and that’s perfectly fine. Using the toilet to relieve you and getting out as soon as possible is usually the preferred course of action from most people entering the toilet, with no extra thoughts exerted. However, if you happen to be one of the few who have thought over what process your toilet must be going through to flush, you are sure to have noticed the toilet flapper. The toilet flapper is the part of your toilet which when you flush, drains water from the toilet tank into the bowl. Normally, it’s the water in the tank that helps keep the flapper potted against the flush valve opening. The flapper is attached to the tank lever via a small chain. Whenever the tank lever is pushed, the chain puts up the flapper. 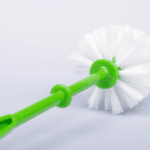 This article will aim to look at five different toilet flappers, the features that are included with each of them and will also tell you briefly how to choose the best toilet flappers. You want to make sure you get your money’s worth so how to choose the right toilet flapper will also be explored. Keep reading to find out more. Just like every other product out there, each of the below-mentioned flappers comes with individual features. Some of the features are common or similar. Some may be different or exclusive. Either way, you may need to try out a few different flappers over the years to come to one that does the job best for your toilet. 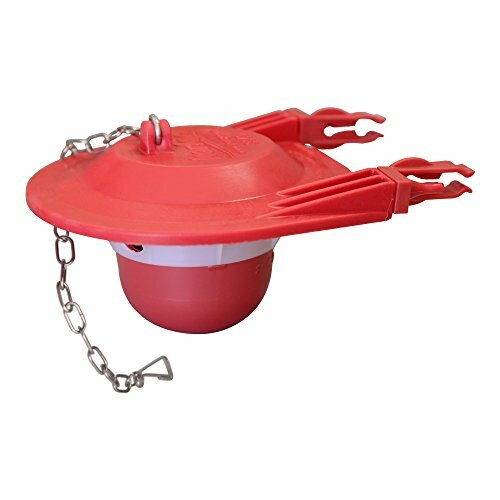 Made right here in America, in the state of Wisconsin, the Korky 3″ Universal Toilet Tank Flapper is adaptable to meet your original toilet’s performance. It is manufactured exclusively from long-lasting chlorazone red rubber, which makes it resistant to chlorine and different types of water, ranging from city water treatment to well water. This model is also bacteria resistant. The Korky 3” Universal Toilet Tan Flapper comes with a stainless steel chain and a universal adjustable flapper. The adjustable flapper has several settings to warrant a proper fit inpopular 3″ toilet models,comprising of American Standard, Kohler, TOTO, Mansfield and Gerber. It is made of flexible rubber intended for a tight seal and easy to install. You can fix running and leaking toilets easily as no tools are needed for installation. 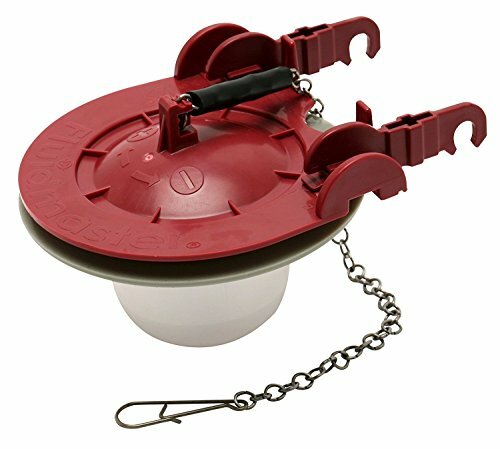 The 3” universal flapper can be easily adjusted to fit different flush valves. The rubber is long lasting and provides a strong seal, something that you definitely want in place if you fear people messing around with your toilet tank (hint: kids). Made in America, designed and mass-produced in the state of Wisconsin, Korky has high-quality toilet products, which are known to be universal and fit specific individual toilet repair needs, irrespective of whether the toilet is old or modern. The repair parts are easy to install and manufactured from long-lasting chlorazone rubber (red). Toilet replacement parts are known to be high quality (famous for its brand). Long lasting chlorazone red rubber that resists chlorine, hard water, city water treatment, well water and bacteria. Stainless steel chain and the universal adjustable flapper included. Fix running and leaking toilets while saving on unnecessary water waste with this large toilet flapper. 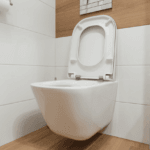 It comes with a universal and adaptable design that easily fits oversized flush valves as well as newer toilet models. If your toilet bowl flushes slowly or it fails to fully empty, you may need a replacement toilet flapper. The 3″ universal flapper easily adjusts to fit flush valves in HET toilets while the adaptable long-lasting rubber makes for a tight seal. The Fluidmaster 5403 3-Inch Universal Water Saving Long Life Toilet Flapper helps to restore the original performance of pretty much all well-known brands and models that fall under 3-Inch toilets. It is a good replacement for old, leaky toilet flappers. This model is easy to install with just two simple adjustments. It comes with a kink free chain, making it easier to hook. You can fix typical corrosion and running toilet issues that are common with toilets. 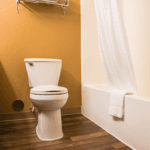 The universal design fits most toilet models and is resistant to both hard water and chlorine. It easily fits 3” flush valves and comes with durable silicone seal which is 10x longer lasting than standard flapper designs. Perhaps the best option with this model is the fact that you can opt to save water every time you flush as it comes with the 3” adjustable toilet flapper replacement. 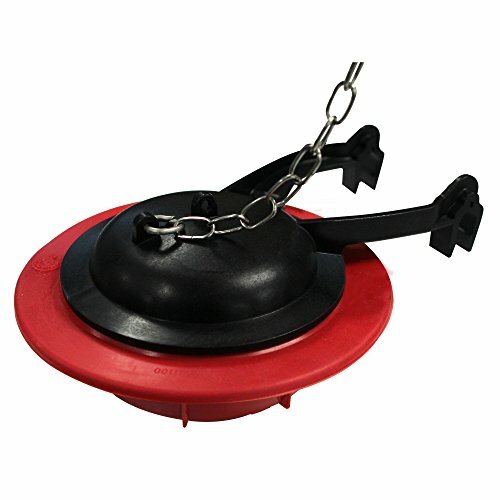 There is an adjustable float ball for optimum functioning and injection molded frame and float. Universal flapper with universal design fitting most toilet models. The Toto THU500S Replacement Flapper for Select 3 Inch Flush Valve Tanks is imported and made from plastic, having a solid fit. It has a 3-inch sealing surface, with a sturdy look. This is an exclusive model in that it is intended for replacement in a list of TOTO 3 inch flush valve tanks. Replaces the following TOTO flapper part numbers: THU331S, THU253S, THU138S, THU499S, THU175S, THU299S, THU140S, THU347S, THU277S THU275S, THU369S and THU332S. The Kohler GP84995KOHLER Genuine Part is known for its high-end performance with Kohler model toilets. It is resistant to corrosion. It comes with a firm bar for consistent flush and includes a 2” hinge flapper that is used in numerous one-piece toilets. This model is compatible with a few KOHLER Models. Make sure to safeguard the warranty. Look for the “Kohler Genuine Parts” logo to ensure it is real. The American Standard 7381.129-200.0070A Flapper and Chain model, like most American Standard products are designed tactically for busy schedules. Parts are made to remain enhanced through rough usage. 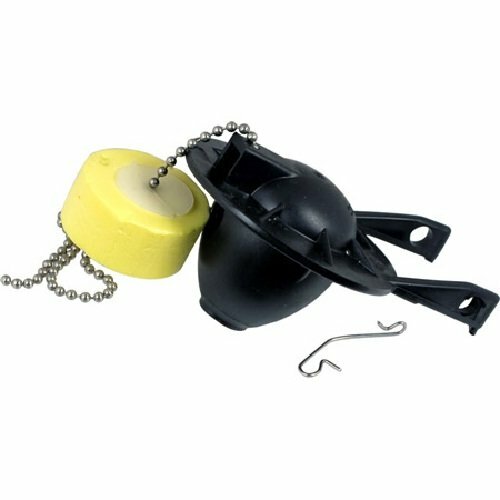 This model comes with a universal replacement flapper with float. 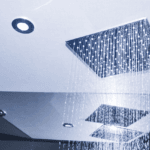 It is known for being durable and reliable due to its quality engineering and construction. 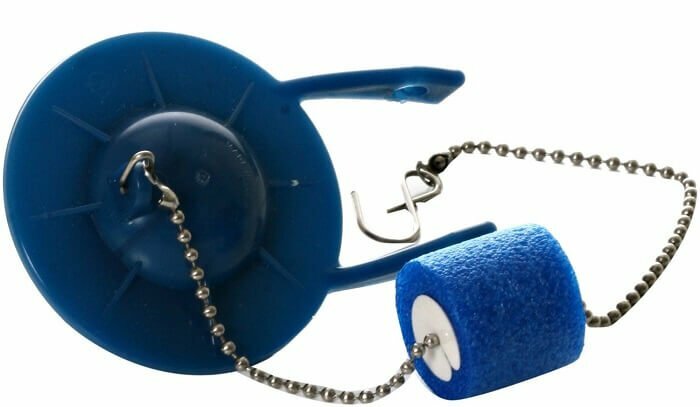 Replacement part, as well as float and clips, are included with the flapper with chain and hook. It is intended for usage in 2” valves. Toilet flappers not only make it possible for your toilet to flush but also help ensure extra water is not wasted from leaking or falling excessively into the toilet bowl from the toilet tank. As such, it’s important for you to keep in mind a few pointers when you set out to buy a toilet flapper. 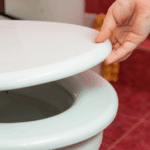 There may be times you need toilet flapper replacements, in such cases, it’s best to read up on different toilet flappers before finalizing what to replace your flapper with. The thing with toilet flappers is that they are designed to create a proper seal in the water holding tank of your toilet so that before or after you flush, there is a tight control on the water that flushes into the bowl. This makes it a key component of your toilet. It also helps you save on your bills by lowering your water bill. It’s probably a good idea to give the flapper some thought when replacements are needed. Here are a few points to help you choose a flapper that’s best for your toilet and one that will last you. After all, no one wants to head to Home Depot every other week to get themselves a new toilet flapper. You need to understand which size flapper seal you need to get. In order to understand this, an easy reference to understand whether you need a 2” seal flapper or a 3” flapper is to look at the size of your flush valve drain opening which is located at the bottom of the tank. If it appears to be around the size of an orange or baseball, you probably need a 2-inch seal. However, if it looks more like the size of a softball or grapefruit, you need to get a big 3-inch seal. Look into the material of the flapper, it could be rubber or plastic. Rubber has a more flexible frame and will fit most valve drains as rubber is flexible and stretches. Plastic offers a more solid fix and forces the flapper ball to center onto the drain and seal quickly. Plastic is intended to stop leakages for a long period of time. However, plastic does not always work with all flush valve drains. Toilet flapper types can be adjustable or nonadjustable. Different toilets, depending on when they were manufactured, can flush different amounts of water per flush (in gallons). Adjustable flappers are designed to flush toilets that flush anywhere from 1.28 to 1.6 gallons per flush toilets. Whereas non-adjustable flappers are designed to flush toilets that flush 3.5, 5 or more gallons per flush. Non-Adjustable Flappers come in only the 2-inch category. Believe it or not, it helps to know how old your toilet is. There are different functions for toilets based on what year they were manufactured. If you are unsure of how old your toilet it, ask a specialist to come to have a look or try to research further on this area. It can save you time and energy if you know which flappers go best with your toilet based on its age. If your household has more people in it, obviously the toilet use rate would be more than if your household consists of only one or two members. The number of family members you have staying over or the number of friends and guests that come over on a regular basis also determine how much you should spend on your toilet maintenance. For toilets that are used more rigorously than others, it’s probably wiser to get more sturdy parts. Toilets that are used by less people on a regular basis can probably do with less sturdy parts. To conclude, experts say a good toilet can last you roughly 20 to 30 years, depending on how much you take care of it and of course, how frequently you use it. With toilet flappers, you probably need to replace your toilet flapper a few times in between the years your toilet remains functioning. Needless to say, the better you take care of your toilet, the longer it will last you. Also, the better the parts to your toilet are, the likelier it is to remain to function as well. Don’t forget, buying the best toilet flapper helps you keep your toilet running longer and smoother. As long as you aren’t yanking at the flush every time you use it and you try using it with consideration, you’re bound to keep your toilet flapper working for years, if not months on end.